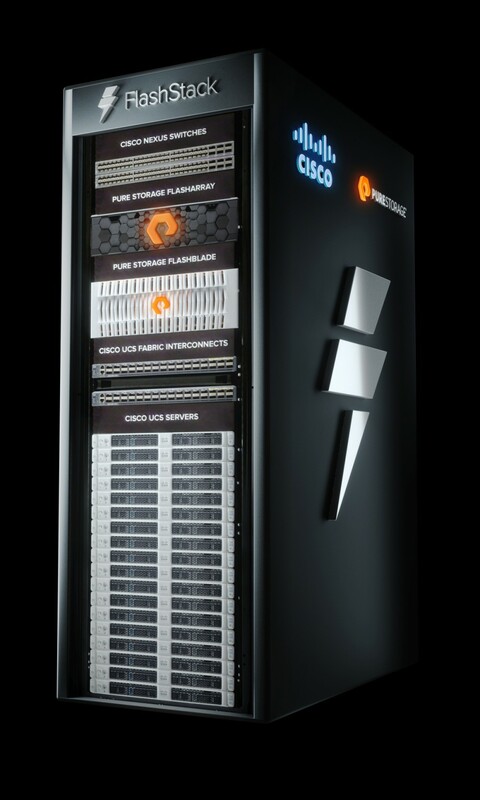 Pure Storage the all-flash storage platform that helps innovators build a better world with data, announced FlashStack with FlashBlade to accelerate data warehouses. The company also announced that AIRI and AIRI Mini, the AI-ready infrastructure solutions from Pure Storage and NVIDIA, are now available with Cisco Nexus ethernet switches. Cisco and Pure Storage customers can now establish a spectrum of data analytics to turn data into innovation, no matter what phase in their data journey. In time, more data will live in “hot” or “warm” tiers, where value can easily be extracted. With this shift, organizations must leverage the latest tools of extraction, and the storage models that allow these tools to work most effectively and efficiently. Data is the fuel driving today’s AI revolution. While many pioneers have pushed the limits of what’s possible with AI within their own industries, the vast majority of enterprises have had to struggle to get started. Today, not all data’s value is easily accessible. Without fast, easy access, data becomes an organization’s most expensive asset rather than its most valuable. AI needs to reach more enterprises faster, and provide value immediately. Pure Storage is working with Cisco to make this reality for customers with AIRI, the industry’s first solution to simplify AI-at-scale, powered by the NVIDIA DGX-1. AIRI is the industry’s first complete AI-ready infrastructure, architected by Pure Storage and NVIDIA to extend the power of NVIDIA DGX systems. Powered by FlashBlade storage and NVIDIA DGX-1 servers, AIRI offers enterprises a simple, fast, and future-proof infrastructure. It is configured with four NVIDIA DGX-1 Systems, four petaFLOPS of deep learning performance, Pure FlashBlade 15x 17TB Blades, 1.5M NFS IOPS, and two 100Gb switches with RDMA. AIRI Mini is powered by one Pure Storage FlashBlade, configured with 7x17TB blades, two NVIDIA DGX-1 servers, Cisco 100 GbE switches, supporting GPUDirect RDMA for maximum distributed training performance, and delivers two petaFLOPS of deep learning performance. All software comes included, so that data scientists can get started on their projects by simply turning the system on. The new FlashStack, built on FlashBlade and engineered specifically to modernize the Oracle Data Warehouse, delivers more than 2x faster performance than the next-best system. Customers only pay for the amount of compute and blades needed for their project or initiative. FlashStack for FlashBlade is ready for extension into modern analytics and AI when ready.